You are uniquely brilliant. It’s time to laser in on that brilliance and make THAT the focus of your business. When my workshop coach drew a simple quadrant on a piece of paper, I changed a huge part of my business and began outsourcing parts of my life. 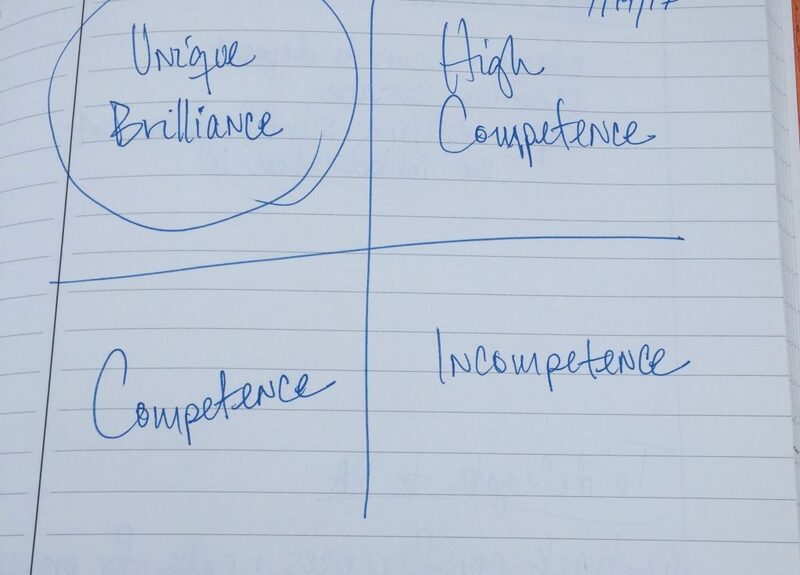 How to use a simple quadrant on a piece of paper to determine your incompetence, competence, high competence and unique brilliance. Why hiring a house cleaner can be the greatest gift you give yourself and your business. How hiring someone to take care of my yard helped my business. Why I fired four clients I liked. Biz Bite: Scheduling your social media posts. Be diligent about scheduling social media posts—and consider enlisting a virtual assistant to help you.